Sleep apnea is a common condition which may have a profound impact on a person’s health. Sleep apnea (also termed sleep disordered breathing) is characterized by periods of no airflow during sleep. This condition can be divided into two types: obstructive sleep apnea and central sleep apnea. Obstructive sleep apnea (OSA) occurs when the soft tissues around the airway lose muscular tone and collapse, which in turn obstructs airflow. This condition can lead to many different cardiac problems. Central sleep apnea is characterized by long pauses in breathing which last for ten seconds or more related to loss in breathing effort. This condition is frequently a result of underlying heart problems. Sleep apnea is very common and is largely underdiagnosed. This disorder affects nearly 15 million adult Americans and is estimated that up to 7% of men and 5% of women may have this condition. Typical symptoms involved with obstructive sleep apnea include excessive snoring, abrupt awakening with a snort or grunt, restless legs during sleep, poorly restful sleep, and daytime drowsiness. Symptoms are frequently unknown to the patient and many times require identification of symptoms by the spouse or family. Obesity – fat deposits may surround the airway in the throat and obstruct breathing. Neck size – collar size 17” or greater increases risk of OSA. Male gender – men are at twice the risk for having OSA. Advanced age – age older than 65 have a 2 – 3x increased risk of OSA. Tobacco use – Smokers are 3x more likely to have OSA. Patients with sleep apnea have an increased risk of high blood pressure, diabetes mellitus, heart attack, heart rhythm problems, stroke, and ultimately an increased risk of death. Diagnosis of the condition involves a test known as an overnight polysomnogram, also known as a sleep study. This test identifies oxygen levels, heart rhythm problems, and brain wave activity during sleep. If significant sleep disordered breathing is identified, treatment is imperative. Exercise, weight loss, avoidance of tobacco, alcohol, sedatives, and certain antidepressants are important first steps. Nasal CPAP (Continuous positive airway pressure) therapy is the best treatment option. While this device is found to be difficult to use by many patients, there are over 100 different mask options to customize appropriate and comfortable treatment. Alternative options include oral and jaw appliances, facial and jaw surgery, and UPPP Surgery (Uvulopalatopharyngoplasty) in which soft tissue is removed from the area surrounding the airway. In summary, sleep apnea is a condition that is largely underdiagnosed. If present and untreated, many different complications can occur. Appropriate treatment of this condition can largely make people feel better, reduce medical problems, and help patients live longer. Dr. Anthony B. Furey joined Cardiology Physicians in March 2011. 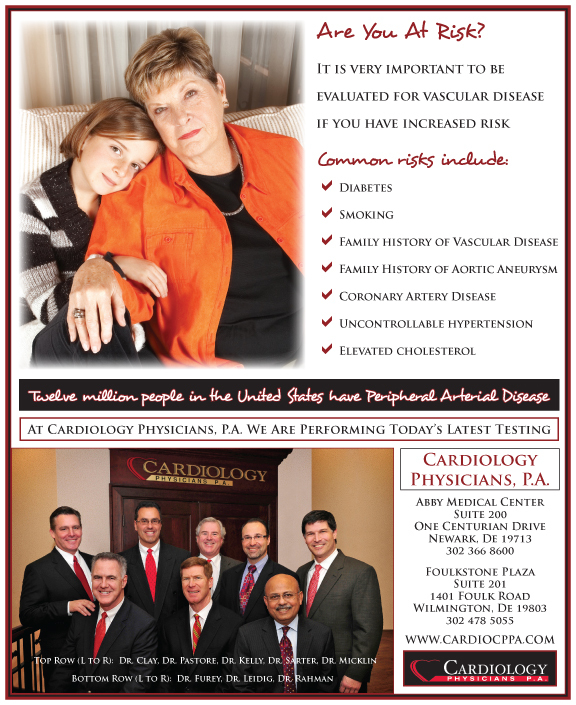 Dr. Furey has been a Cardiologist in Delaware since 1996. Dr. Furey grew up in Chadds Ford PA. He attended Bishop Shanahan High School and Lafayette College where he obtained a Bachelor of Science Degree in Biology. During his four years at Lafayette, he lettered in Varsity Basketball and was Captain of the 1983 squad. Dr. Furey attended Philadelphia College of Osteopathic Medicine. His post doctorate training involved internship at Doctors Hospital in Columbus, OH, and Internal Medicine residency at Lehigh Valley Hospital in Allentown, PA. His Cardiology fellowship was completed at The Graduate Hospital of the University of Pennsylvania in Philadelphia, PA.
Dr. Furey is board certified in Internal Medicine and Cardiology by the American Board of Internal Medicine. He has been recognized as board certified in Adult Echocardiography by the American Society of Echocardiography and Nuclear Cardiology by the American Society of Nuclear Cardiology. 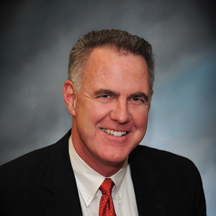 Dr. Furey’s professional associations include membership in the American Osteopathic Association, Delaware Society of Osteopathic Medicine, Delaware Medical Society, American Society of Echocardiography, American Society of Nuclear Cardiology, American Association of Cardiovascular and Pulmonary Rehabilitation, and Fellow of the American College of Cardiology. Dr. Furey’s interests involve clinical and consultative cardiology along with echocardiography, transesophageal echocardiography, and nuclear cardiology. Dr. Furey is the Medical Director of the Christiana Care Cardiac Rehabilitation program. Medicine program and has been named Delaware Today’s “Top Doctor” in Cardiology in 2003 and 2010. Dr. Furey and his family reside in Wilmington, DE. He and his wife Katherine were married in 1990. They have three children; Brannock born in 1993, Conor born in 1996, and Corinne born in 2001. Next Story → Grow In Confidence Because You Can Hear More,even in the most difficult hearing situations.